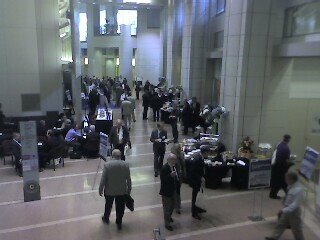 Day 2 of DHS S&T Stakeholders' Conference, featuring a full day of plenary sessions. The Honorable (VADM(ret)) Jay Cohen, Undersecretary of Homeland Security for Science & Technology, will open with a keynote address, and Secretary Chertoff will speak later in the morning. Panel discussions will include various "partners": Dept of Energy's National Labs, Community First Responders, Capitol Hill, International Partners and Federal Agencies.